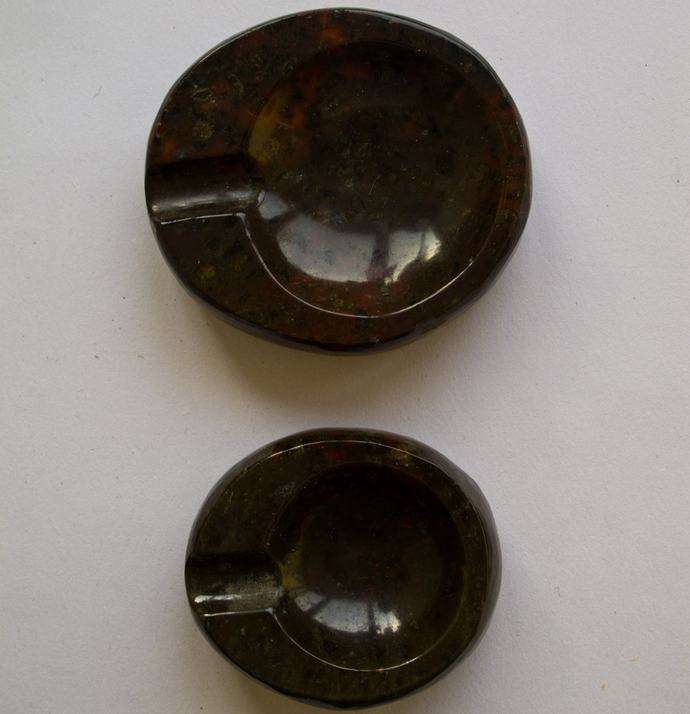 Attractive dark brown ashtrays. I don't know what they're carved from, but the dappling and red veins are nice. The larger ashtray has a small chip on the edge, but it's barely noticeable.